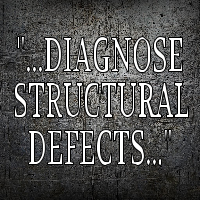 Structural Engineer Inspections – Dallas & Ft. Worth – All Structural Inspections are done according to the “Guidelines for the Evaluation and Repair of Residential Foundations – Version 2” (ASCE Guideline: Level A Investigation). This level of investigation reports first impressions and shall not imply that any higher level of investigation has been performed. This level of investigation typically includes, but is not restricted to: 1. An occupant, owner and client interview if possible (regarding a history of the property and performance of the structure); 2. A request and later review of all relevant documents available from the client (e. g. foundation documents, construction drawings, geotechnical reports, structural diagnostic reports, previous engineering opinions & testing); 3. Visual observations during a physical walk-through of the facility investigated; 4. Identifying factors influencing the performance of the foundation; 5. If requested by the client, providing a written report, containing at least the following: a) scope of services, observations, site characteristics, and data deemed pertinent by the engineer; b) a discussion of major factors influencing foundation performance and rationale in reaching conclusions about the subject residence; c) conclusions and any recommendations for further investigation and remedial or preventive measures.